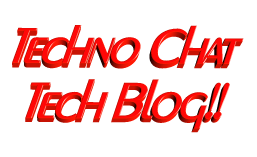 Floppy Drive Blocker | Techno Chat|Tech Blog!! A tiny tools for block USB Pendrive, CDRom, Floppy Drive or ZIP Drive access to your computer. It helps you to protect your computer from virus. Recommended for cybercafe owners, home use, office use. Posted in Admin Tools. 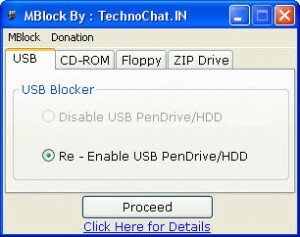 Tagged CDRom Blocker, external drive blocker, floppy blocker, Floppy Drive Blocker, free cdrom blocker, free floppy blocker, free usb blocker, free usb blocker download, free zip drive blocker, how to block cdrom, how to block usb drive, how to restrict CDRom access, how to restrict usb access, MBlock, MBlock v1.0, Multi Blockeer, multi blocker, USB Blocker, ZIP Drive Blocker. People says Microsoft paid 14 million dollars for using the Rolling Stones song “Start me up” in their commercials. This is wrong. Microsoft paid 14 million dollars only for a part of the song. For instance, they didn’t use the line “You’ll make a grown man cry”.